The "D" series dampers are galvanized steel, single blade dampers complete with a 24 Volt, spring return actuator. These dampers are shipped complete and ready for installation. 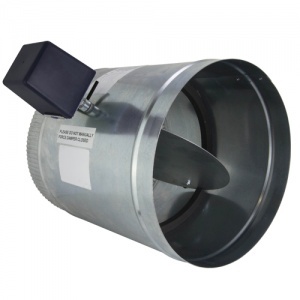 The "D" series damper can be installed in any position in any properly sized duct. They are rated for duct systems less than 1.0" WC.